Cie. dreifrauendietanzen is composed by three artists / friends: Ellen Urban, Claudia Schnürer and Daniela Feilcke-Wolff. 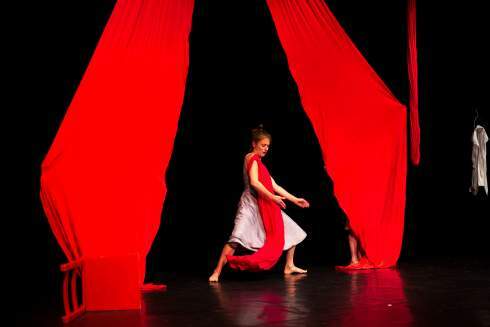 Each of these three women have been working with and exploring movement and dance intensively for many years. They became acquainted through their mutual love for Tango. Each explores the possibilities for theatrical expression, storytelling and art-form fusion in her own particular genre, using her own individual tools. Following a 2-year developmental period, and traveling many hundreds of kilometers in the process, too HIGH too LOW too FAR has come a very long way (in both time and space). In addition to the work of the three women, it has also been put into action thanks to Franz Mestre´s (Pivoting Theatre) approach to crystalizing the material and theme. Pivoting Theatre was founded in 2008. The company collaborates across cultures and countries with the aim of bringing together artists and art forms from around the globe. The artistic director of the company is Spanish actor, director, and musician Franz Mestre. 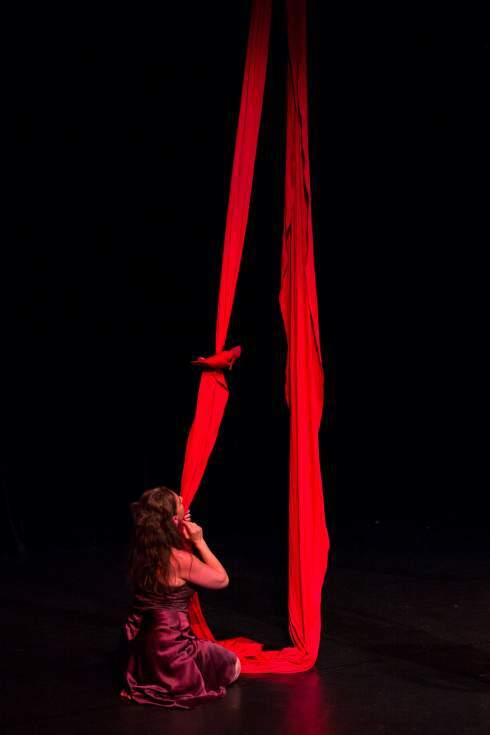 A graduate from Circomedia, the Centre for Contemporary Circus and Physical Performance in Bristol, Ellen Urban has been performing her aerial arts since 2001 in national and international circus and theater festivals as well as Gala events. She has been engaged with diverse Dance/Theater companies such as Ten Pen Chii, Grotest Maru and the Artistic Dance Company. In 2008 she created the piece “Contrabass” in cooperation with Posttheater Berlin. She has been involved with a diverse group of big theaters such as the city-theater Aachen and the opera (Deutsche Oper) in Berlin. In 2007 Ellen Urban won the Operare price with her multi genre performance of “Rapunzelmonolog." Claudia graduated as an acrobat in Berlin. She is also a qualified Feldenkrais practitioner and a certified non-medical therapist. Since 1994 she has been performing many different self-devised projects in national and European street-theater festivals. Recently, she toured for 5 years as half of the duo Oko Sokolo, and the tight rope/dance piece “living room.” She continues touring the reading performance “das Vorlesezimmer” (room of poetry). Daniela is a tango dancer and teacher of Alexander-technique. She accomplished a (non-voluntary) formation as a technical graphic designer, became a sports teacher, restaurant owner and held a number of other occupations until she finally fell deeply in love with Tango and bodywork. She has been teaching Tango for many years, mostly in Germany and Finland. She is a Tango DJane and performs Tango with her dance and life partner. Part of her artistic interest and research is dedicated to exploring the limits of Tango and the possibilities for this form to intertwine with other genres. This has led her to various collaborations with circus and theater productions in Berlin and Potsdam. Franz is a director, musician, and actor. Since 2007 he has been the artistic director of the KRESCH theater in Krefeld, where he has spent much of his time developing their interesting artistic profile. He has studied music and theater science as well as cultural management. As a musician he has published his theatrical compositions as well as children songs, and he has been present on music samplers with a diverse assortment of bands. As an improvisation actor he is performing in Germany and abroad, in addition to being an actor in various KRESCH productions. As a director he is working with dancers and movement artists such as Sabine Seume and Andreas Simon. In 2008 he founded “pivoting theater”, with the aim of providing a frame for bringing together different artists and art forms. His particular interest is in fusing dance, theater, language, and music to create site-specific performances that highlight biography and character. 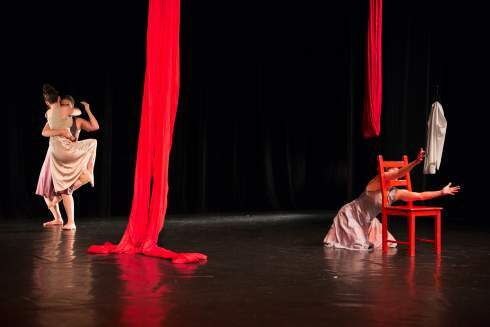 The first co-production of “pivoting theater” was with the Barough Dance company; with these Iranian-German Hip Hop dancers the piece “Domine o Yeki" was created. 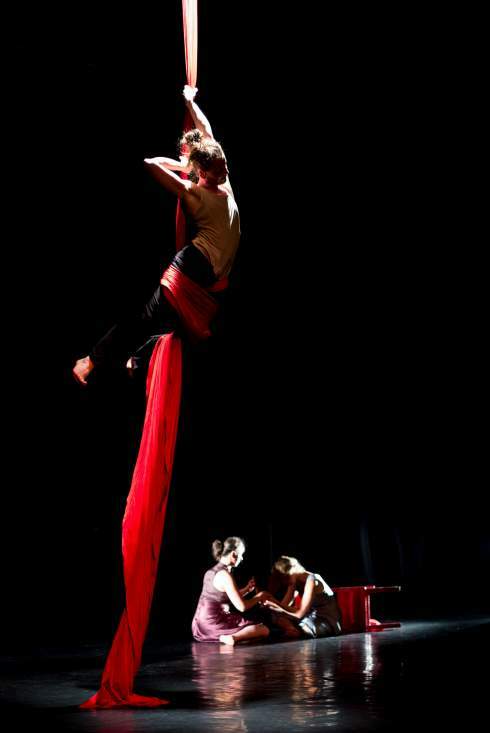 In 2011 “pivoting theater” collaborated with the American “Zany Umbrella Circus,” centered in Pittsburgh, PA. Their creation of "Mirette on the highwire” toured successfully through many American cities.